First and foremost, these are my opinions. Secondly, don't hate me just because you can't handle my opinion. Kay? KAY! *This is pretty much my reaction to the announcement. Don't expect clear thoughts. At all. Thanks. Actress and singer Ono Erena has announced that she will be retiring from the Entertainment Industry on July 15th. Her reason for this decision is said to be because of new dreams and goals. The Idol, who has been working hard within the industry since she was 12 years old, has learned many things through working with other people to reach many goals. 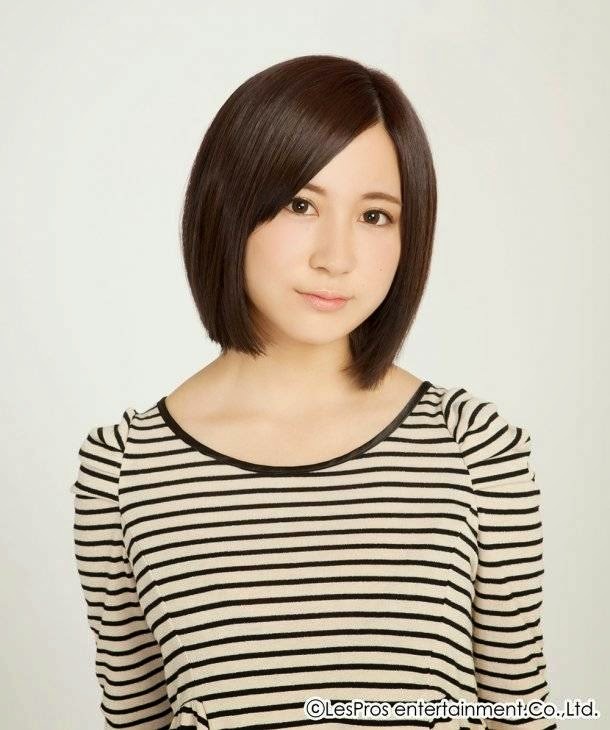 She became a part of AKB48, became a soloist and also experienced leading a role in a drama series. Now, after 8 years of being within this industry, her dreams and goals have changed, and she will be taking on a new path. First Bump.y, now Erepyon... what the heck? Why are the good girls leaving me? Why are they leaving us!? I mean, Erepyon... she was so... well, damn, she was talented and amazing and a glorious being on this planet who brought such amazing music and happiness to this world. She was wonderful!!! Okay, over-reacting moment over (kinda, I can't promise anything) I was surprised by this announcement. Actually, surprised isn't exactly the correct term; more like shocked and ready to burst into tears. I mean, this is Erepyon we're talking about, here! She isn't just 'any other' soloist in my eyes, but someone to fawn over and love until the end of eternity. She's one of my Oshi's, one of the most talented girls out there with some amazing music that brings me joy, sadness and energy... she is damn perfect, if you ask me, and she's leaving! Well... not really, but you know what I mean! It's that feeling of just... well, it's not a nice feeling ;_____; MY BABY IS LEAVING ME! THIS IS LIKE LOSING AN ARM!!! AND A LEG!!! EXCEPT IN THE FORM OF A FULL HUMAN BEING NAMED EREPYON!!! All that said and ranted, whilst it saddens me deeply and makes me wonder how to go on in life (okay, that's a giant exaggeration there and we all know it) I do truly wish that whatever Erepyon wants to do in life, she can accomplish it and become great in what she does. I truly hope she achieves greatness, happiness and a wonderful life for herself. She's an adult now, someone who has to make rather big decisions, hard choices that she knows she needs to figure out and decide for herself. I accept that completely. Sure, I may not seem like I am taking this whole announcement well, but I do accept that she has decided this for herself and that this is, ultimately, the best thing to do right now as a person. She's a wonderful entertainer, a beautiful singer and a gorgeous person. She has talent and potential in many areas, and I will be so sad to see her go, because everything she has done so far I have absolutely loved; Ono Erena has brought me great joy and happiness since her debut, she has become one of my stand-out favourites in Idols, an Oshi if you will. She has continued to amaze me with whatever she creates and proving time and again that, as a singer, she truly possesses a talent. She is charismatic and charming, a perfect Idol in every way. I will miss her presence in the entertainment industry, because it is a presence that barely graces the Idol scene in soloists. I am happy that I was able to listen to Erena's music and experience her music videos. I am so thrilled to have become a fan of her and fallen in love with what she produces. She is wonderful, and she will truly be missed not just by me, but so many other people. Erepyon is a delight and a true Idol, one who will be dearly missed. I love her so much, and I can only hope that she will return to the Entertainment Industry one day, whether as an Idol or a singer, I don't mind, but I do hope she returns. I know that an Idols career does not last forever, and I totally accept that, but I actually find myself wishing Erepyon's lasted longer, about another 10 years or so maybe, but I accept that she's leaving too. For her, it's her time to leave and go on with her life doing something different. All I can do right now, aside from wish she was staying with us a few decades longer, is wish her the best of luck in her future endeavors, and hope she lives a wonderful, fulfilling life as Ono Erena. Nooo. :( I was never really a "fan", per se, of Erena, but I did have a sort of respect for her. And I guess I kinda thought she had the potential to have a very long career. Though I guess when you add it all up, 8 years is a pretty long time. It's rather sad I think for everyone, especially long-time fans of hers. I think it must have been hard to come back from the AKB name like she did, when they were so well known, and say she was going to solo debut. She is so good though, and like you say, she had that potential for a long career. But yeah, 8 years is a long time for any Idol, in or out of a group, and she managed to work by herself as well for about two years, so she's done well for herself! We kind of had the same reaction on this one, albeit I was probably more subdued than you. Even when I knew nothing about AKB, I knew Ono Erena. When she returned for her solo career, I enjoyed her music greatly. Like you, I think she had much more to give us with her career. It really feels like she was cut short. I am always energetic, even in my reactions to bad news it seems XD But honestly, I adored this girl, and I will miss her deeply... she's a wonderful artist, she has such good songs... but yeah, it's saddening, and as you say a little worrying.